Braunton Academy is a five-form mixed comprehensive academy with 650 students aged from 11 to 16. As a respected and trusted centre of the local community, Braunton Academy is committed to providing the very best education to the children of Braunton and its surrounding villages. The academy has established a strong reputation and increasingly attracts students from out of the immediate area. Students achieve high standards both academically and in the wide range of extra-curricular activities available. 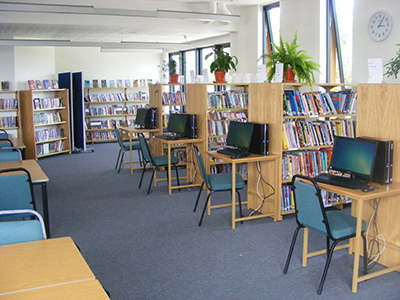 Braunton Academy’s Aspire Centre includes a brand new library to replace ‘worn-out’ old facilities. 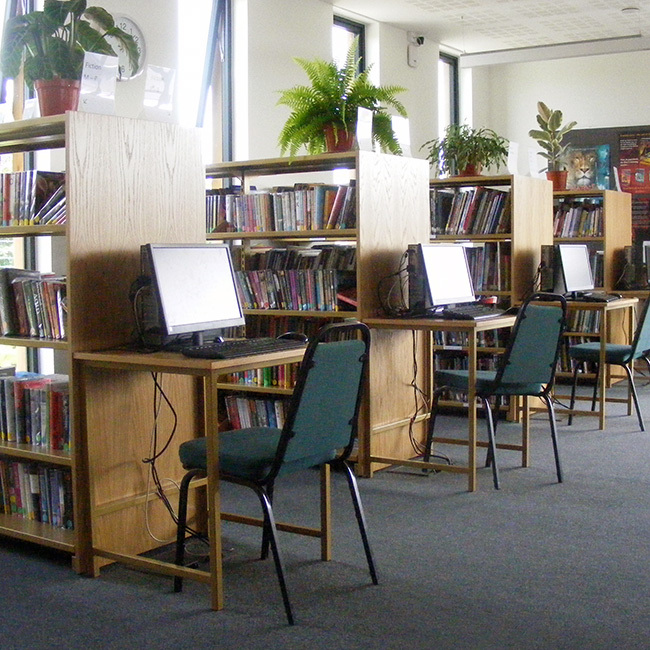 The academy wanted library desks and shelves that matched the modern design of the building. They needed to be practical to make best use of space and also accommodate cabling. They also needed to be hardwearing when used by the academy’s 650 students, yet also comfortable and conducive to learning. 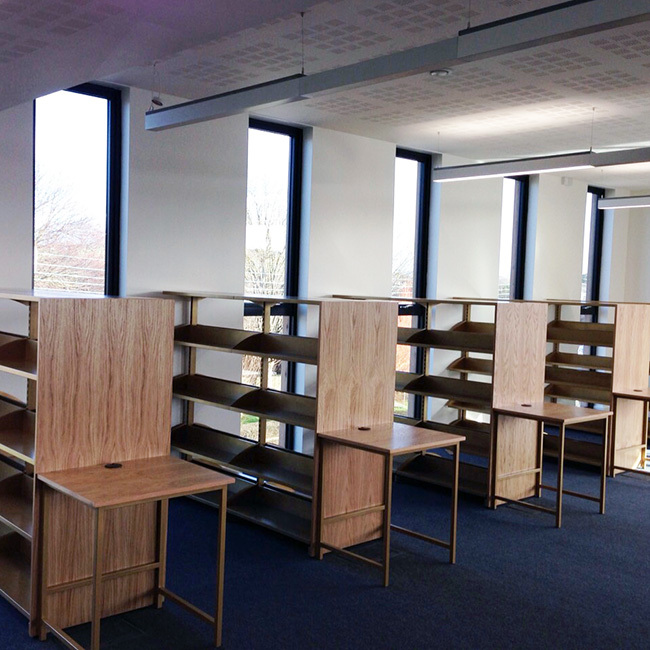 The team at Dymond consulted with Braunton Academy on its plans for the new building and suggested a design of shelves and desks fabricated from mild steel and wood, with an epc powder coated finish to match the light oak. 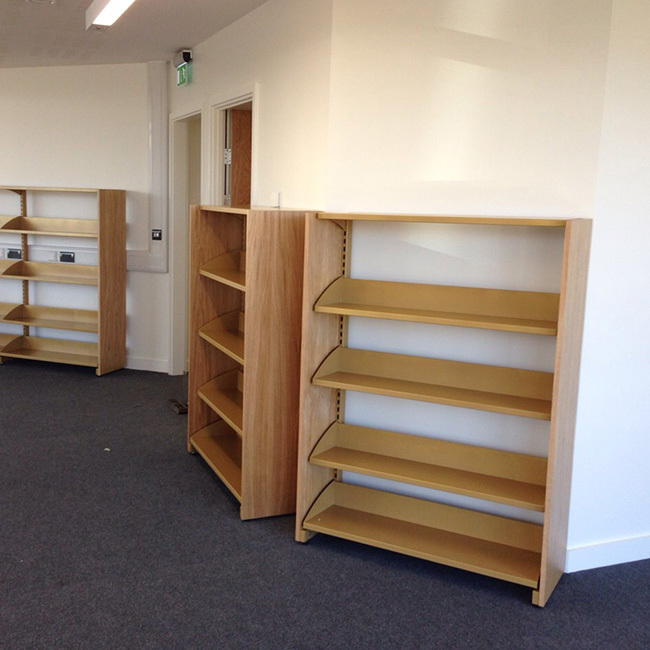 Braunton Academy was very pleased with the designs as they met all its requirements so Dymond Engineering manufactured the shelving units and desks at its North Devon facility, sourcing the timber and assembling the complete units before installing them on schedule. 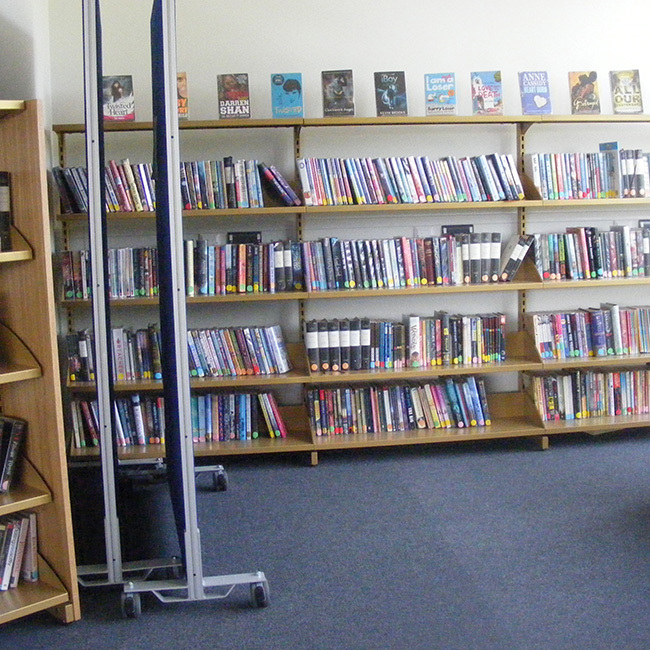 The book shelves are easy to access and the shelves are at an accessible height for pupils of all ages. 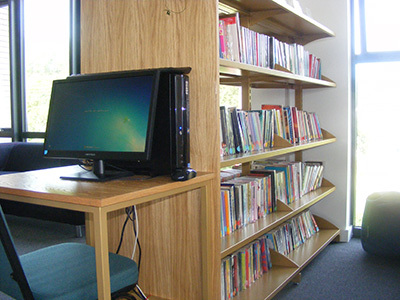 They have a light and airy appearance while taking minimal space for holding and displaying books and resources. 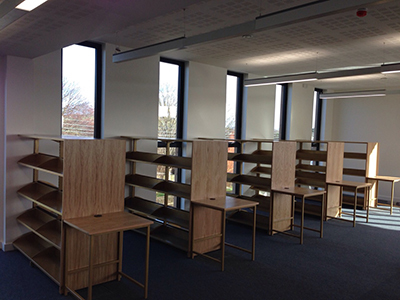 The academy is delighted with the desks and library shelves. The Aspire Centre and new library have replaced ‘worn-out’ facilities and are proving extremely popular with students who use the building.